If you’re thinking about an online MBA, it makes sense that you would be considering cost and value. There are lots of complex formulas to tell you about cost-benefit and return on investment, but let’s just get a baseline here: what’s the cheapest way to get an online MBA? Here are the best-priced online MBA programs in the US. They’re not just cheap – we have standards, after all. Each program on this list is accredited by the AACSB or similar agencies, and offered by a regionally-accredited college or university. With those minimum requirements, you can be assured that every school on this list is reputable, reliable, and, best of all, cheap, cheap, cheap. West Texas A&M University’s online MBA has a boatload of accolades, including U.S. News & World Report. But the people who really love WTA&M are the ones who love a bargain – they have the lowest online tuition around, at least among reputable, ranked schools. The WTA&M online MBA starts at only $143.22 for Texas residents, and for that price provides a flexible, convenient business education. You can finish in only a year, if you take an intensive program of study, or stretch it out part-time to 2 or 3 years. At that price, why rush? 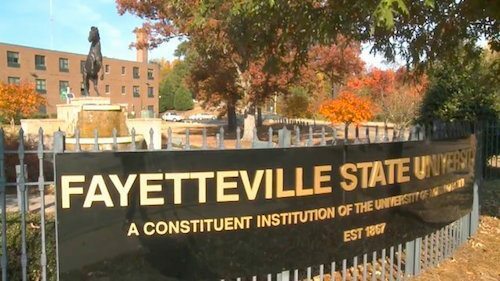 Fayetteville State University has a supremely affordable MBA program. As a historically black university, FSU has a fundamental commitment to diversity, which includes a mission to provide education to anyone who wants one. In that spirit, FSU has built their online programs to provide education to students who cannot attend regular on-campus classes, and have kept their MBA program at a price that just about anyone can swing: $160.82 per credit hour. With many marketable concentrations, including newly-added Healthcare Management and Project Management, FSU is preparing students for the future of business with a low, low price. Chadron State College, in Chadron, NE, offers a fine, cheap online MBA. 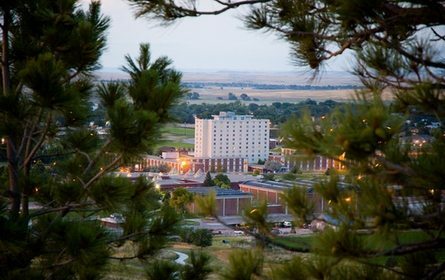 Chadron is a small state college, with only 3000 students, but it expands its scope into Nebraska and beyond with its online programs. For only $177 per credit hour, Chadron’s all-online MBA is affordable, convenient, and accessible. Students can transfer up to 9 credit hours toward the required 36 from another institution, so you could finish in two years, if you care to load up your schedule with Chadron’s 8-week sessions. 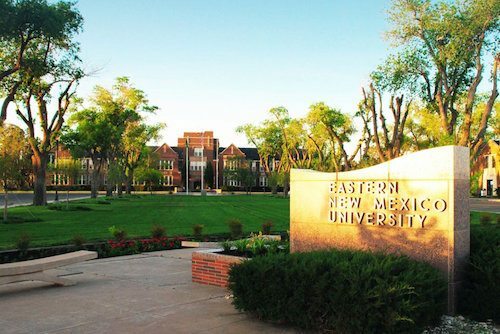 One of the advantages of Eastern New Mexico State’s online MBA program is that out-of-state residents taking only 6 credit hours get to pay the lower New Mexico resident tuition rate, so if you take your time, you can get your MBA for only $199.25 per credit hour. That price, as you see here, puts ENMSU among the cheapest online MBAs in the US. For the lower rate (if you’re out of state), you’ll need to take the 2-year option; for a higher price, out-of-staters can finish in only one year. It’s your choice, but if you want a deal, take your time. 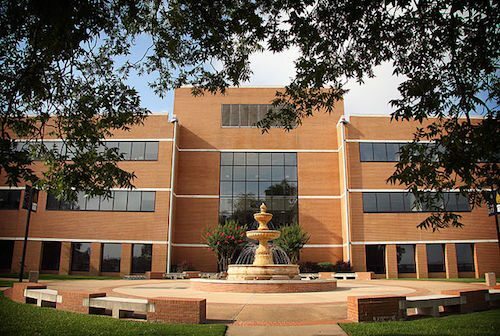 Southeastern Oklahoma State University’s John Massey School of Business offers an accredited, all-online MBA degree for a super-affordable $212 per credit hour. 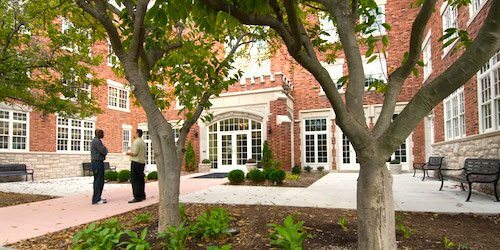 Southeastern (or SE, because, frankly, that’s a lot of name), a small, public university in Durant, OK, has worked to build a solid, flexible program that can be completed conveniently in 8-week block scheduling. They keep their tuition cheap and accessible, so if low price is your criteria, Southeast could be your direction. 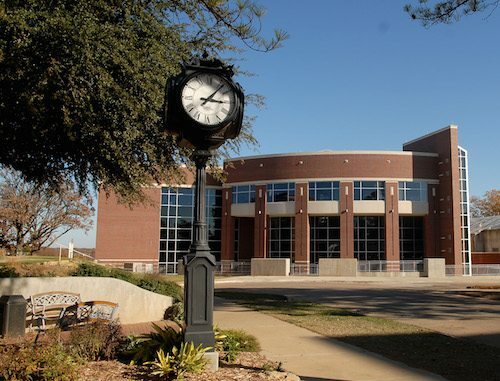 Southern Arkansas University is headquarters in Magnolia, AR, a name that calls up sweet tea on the front porch and warm summer Sunday mornings. But if you don’t want to reside in Magnolia, AR (for some reason), SAU offers an all-online MBA through the College of Business. And it’s cheap – only $262 per credit hour at the lowest price. SAU’s online MBA covers everything a modern businessperson needs to know, from international business to technology, marketing to ethics. It’s a broad, complete education in business, all for a low price that must be an investment worth the risk. Fitchburg State University, a small, urban, public university in Fitchburg, MA, offers an online MBA in two concentrations: Human Resource Management, or Management. Fitchburg has put together a sterling program, with all-hours tech support and a well-developed, accelerated plan. Get through your MBA in only 17 months, taking 7-week courses, one course at a time, back-to-back-to-back. With a cohort design, you’ll work through the program in small groups to develop connections and network. But of course you want the price, and for an MBA this well-designed, $304 per credit hour is just about unheard of. But now you’ve heard. 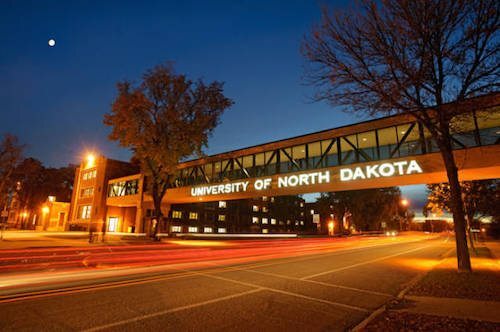 In a great big state like North Dakota, where residents are spread out and transportation has some challenges (like an average 50 inches of snow a year), it’s no surprise that the flagship university would build a strong online education system. So it is at the University of North Dakota, whose online graduate business program has been ranked by U.S. News & World Report. The online MBA takes two years to complete, is completely online, and best of all, it’s affordable. Everyone, no matter where their home state, pays the same $342 per credit hour as ND residents. It’s not dirt cheap, but it’s still a value compared to many online MBAs. After financial setbacks in the early 2000s, the University of Louisiana at Monroe came roaring back with a new focus. Part of that focus was establishing a nationally-recognized online education platform, acclaimed by U.S. News & World Report as well as others. 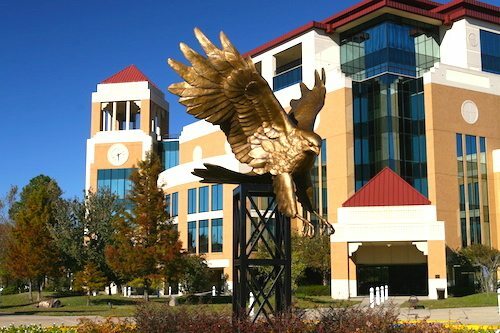 The ULM online MBA is comprehensive and taught by dedicated faculty, with admission based on a wide variety of criteria beyond just test scores – so impress them! You, in turn, should be impressed by the affordability: only $348.09 per credit hour! Here we have the highest of the low, still a fantastic $350 per credit hour, with Columbia College in Columbia, MO. Columbia has a way of showing up on lists of best online programs, best values, best prices, and so on, so it’s got to be more than just luck. Columbia College’s online MBA is designed around mixing theory and practice, with realistic projects to build students’ professional development and send them off into the professional world prepared for any challenge. $350 a credit seems like a small price to pay for that kind of opportunity.